The SEACORE 1000 is top of the range, it’s the combination of COLONNA PROFESSIONALE 1000 and three-phase SSR75 motor. 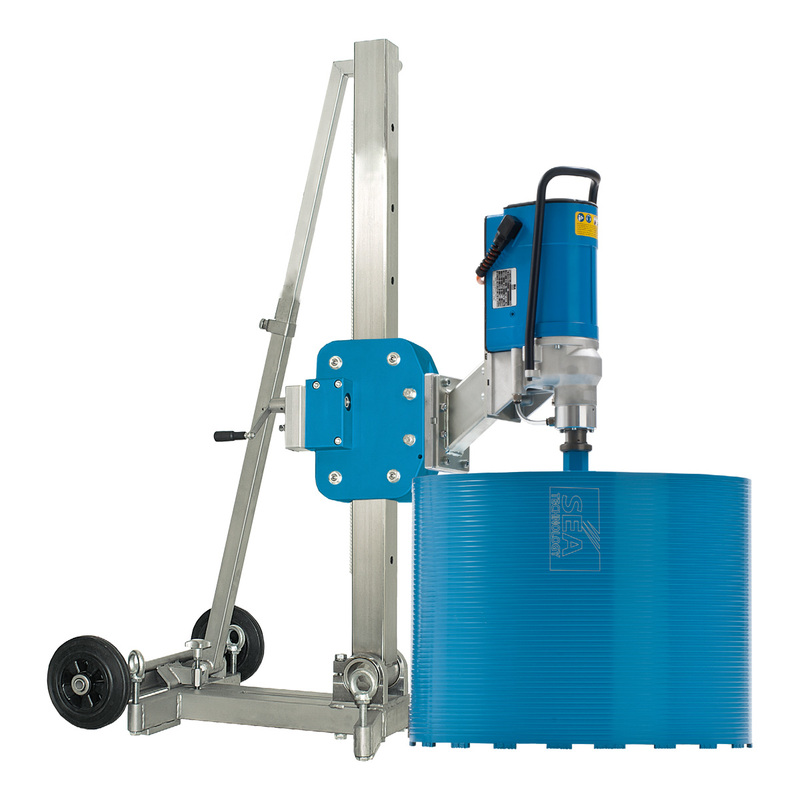 This system with 7500 W motor allows drilling up to diameter of 1000 mm and up to 1080 mm deep without using extensions. Equipped with stabilizer, it is especially recommended for continuous drilling with large diameters. It is slantable up to 60° both on the interior and exterior.